The Kliff is Kortel Design’s response to the specific problems posed by paralpanism. The relentless pursuit of weight gain incites too many pilots to neglect the safety of the “mountain” aspect of this activity by using their lightweight flying harness to rope up. 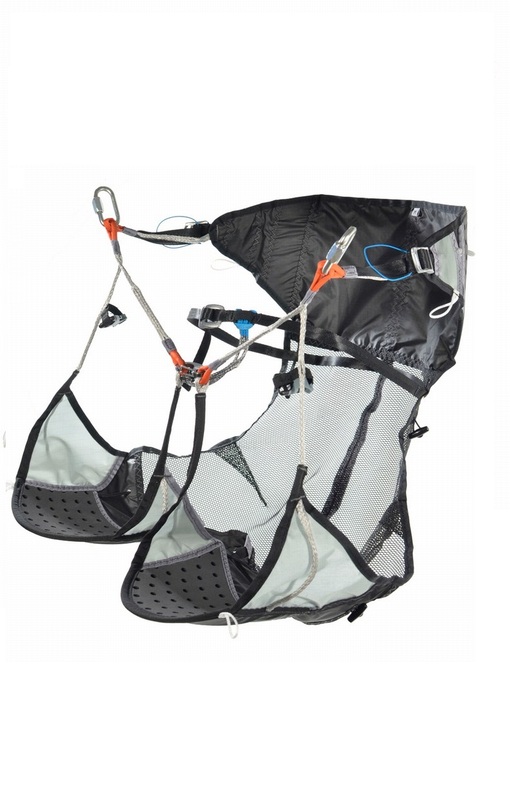 Unfortunately this solution cannot be considered satisfactory, in the case of a fall into a crevasse for example, a lightweight flying harness will in no way replace a climbing harness. That’s why we developed the Kliff, a totally unique product. Some items are on stock. 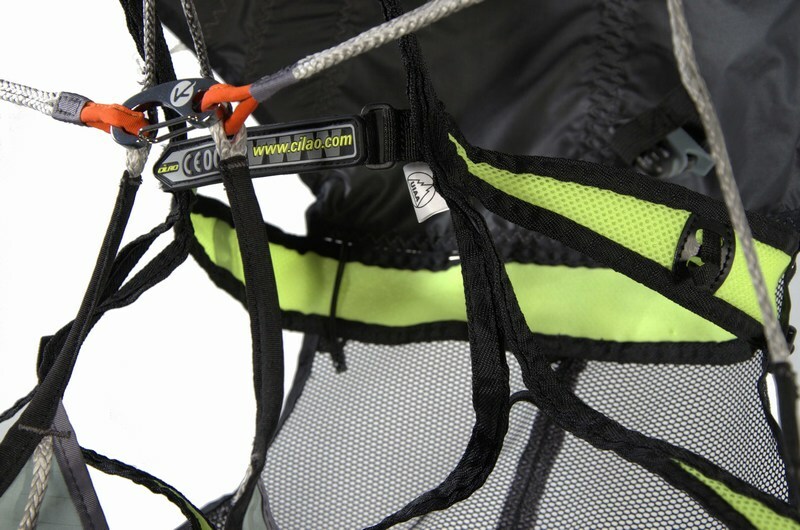 It incorporates the “strapless” concept of the Karver, but its uniqueness lies in its ability to integrate any climbing harness on the market. The climbing harness takes the place of the provided lightweight waist strap and combines with the Kliff to enable safe evolution in a glacial environment whilst leaving the Kliff on, thus allowing the pilot to be ready for takeoff at any time! The extreme lightness of the Kliff allows it to be forgotten from the very first steps. 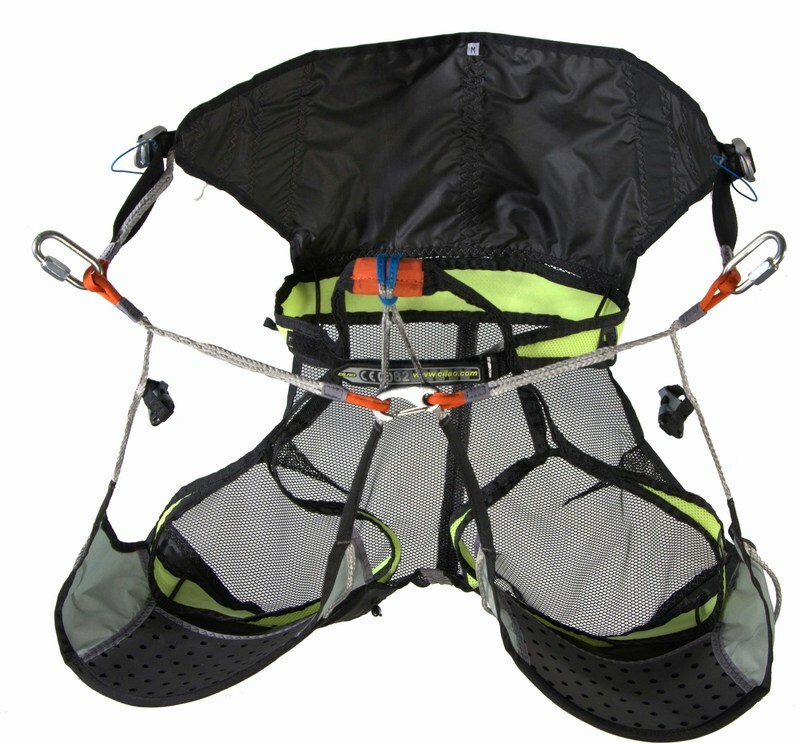 Of course, in a more typical, less high mountain context, it is quite possible to use the Kliff without a climbing harness thanks to the provided lightweight waist strap.